You worked hard and saved up for many, many years, and now you’ve finally been able to purchase that classic car you’ve always wanted. 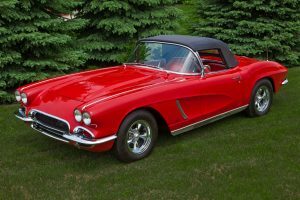 Whether it’s a vintage muscle car, a custom-built hot rod, or a restored convertible, you want to protect your new vehicle. Keeping it out of the wind and weather will help retain its shine, and you may also need a place where you can work on the car to keep it tuned up and running perfectly. At Better Built Barns, we can help you build the ideal custom garage where you can park your classic auto, change the oil, and show it off to all your friends. Older cars tend to be a bit bigger than modern automobiles, as the engines are a bit larger and the body styles have a few more embellishments. Vintage cars may also be longer than their modern counterparts, meaning they need a bit more space in which to park. When thinking about your new garage, be sure to consider how much space you need in front, behind, and on either side of your classic car. You need to be able to move completely around the vehicle, especially if you’re going to be working on it. You’ll also need to think about how much space you’ll need to open each door, the trunk, and the hood. The last thing you want is to ding the paint on your vintage auto! Where Will the Garage Go? When you work with the team at Better Built Barns, we’ll make sure you find the best option that fits your budget. Once that’s done, it will be time to decide where the new garage will be placed on your property. Will it be next to the house, or do you have room for it in the backyard? Will you approach it from your driveway, or will you access it from the alley? These are all important questions, and deciding on placement is key so that we know where to begin building once we arrive. If you have questions about preparing your site or need installation info, be sure to visit our FAQ page. How Often Will You Take the Car Out? Once you have your classic car, you may think that you’ll be driving it around town every weekend. While that is possible, it’s important to keep time and weather in mind. Will you have time for a Sunday drive every week, and will the weather cooperate so that you can do so? Will you save your trips for things like vintage car shows or local parades? These are all great questions, and all are worth thinking about before building your new garage. You may also have plans to turn part of your garage into what looks like a classic mechanic’s shop. You may plan on putting in chairs, barstools, and a TV so that you and your buddies can hang out there, while your car sits in the background and adds to the ambiance. When designing the interior, be sure to keep in mind what type of materials you need and how you can ensure that your car will be safe and sound when people are around. 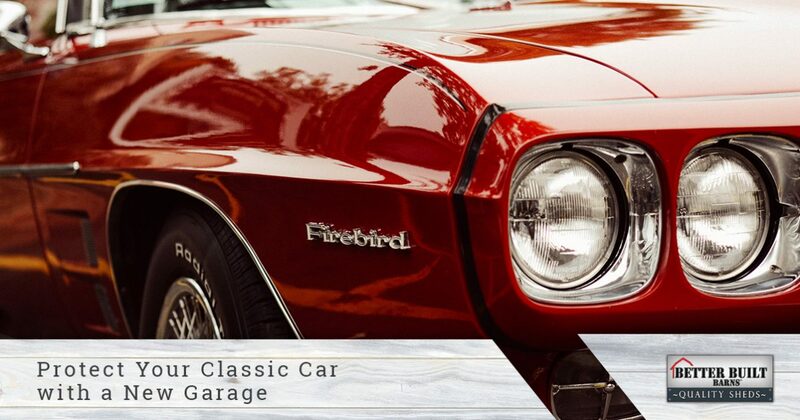 If you’ve been thinking about buying a vintage car, or you’ve finally purchased one and you need somewhere to park it, contact us today to talk about our custom garage options. We love helping people find the right solutions for their property, and once you’ve picked your garage, we’ll get to work on getting it put up.